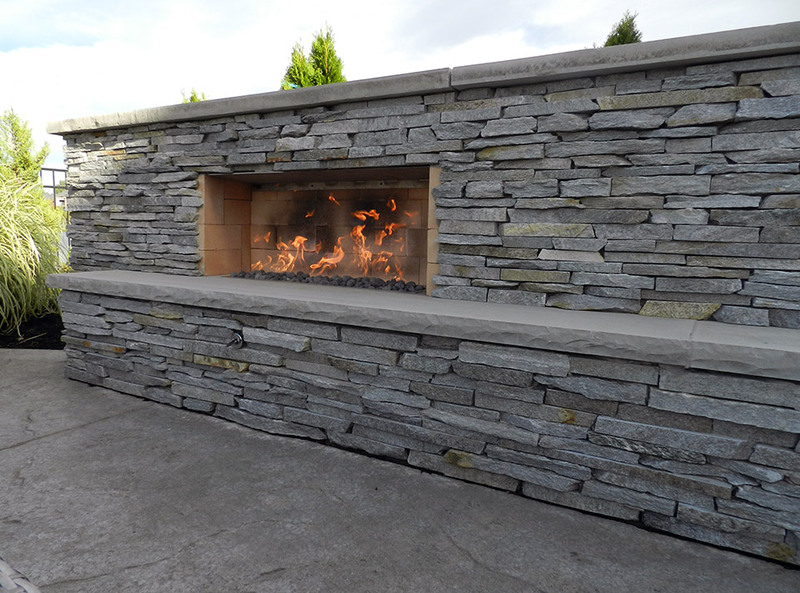 The natural thin stone veneer fireplace features tumbled lave stone in the firebox. 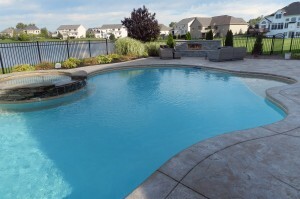 An outdoor patio and fireplace area seamlessly built into existing in-ground pool. 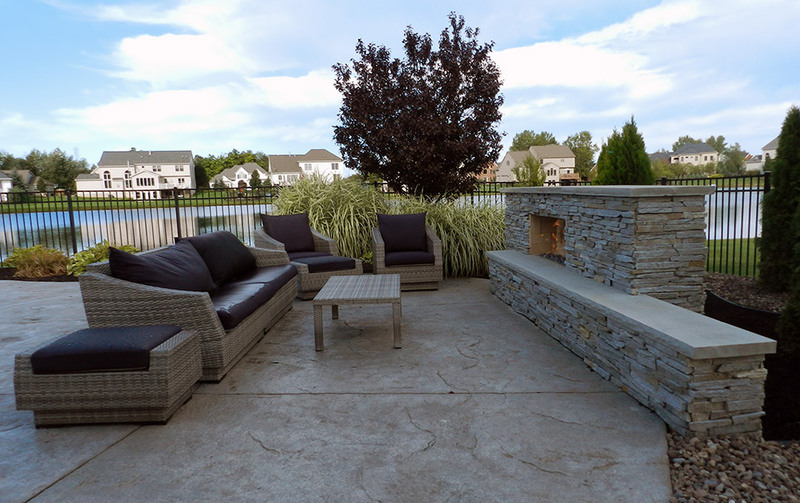 Northeastern Exteriors designed and built this patio and outdoor fireplace to seamlessly integrate with an existing in-ground pool, transforming it from merely a swimming area to a true outdoor living space. 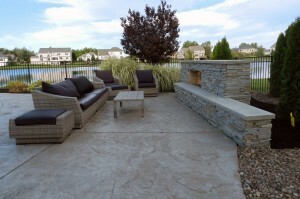 A natural cleft, random-pattern Pennsylvania flagstone patio surrounds the natural, thin stone veneer outdoor gas fireplace, which is capped with large limestone slabs. The firebox features fire brick and a tumbled lava stone base, controlled by a chrome finished manual gas shut off valve. 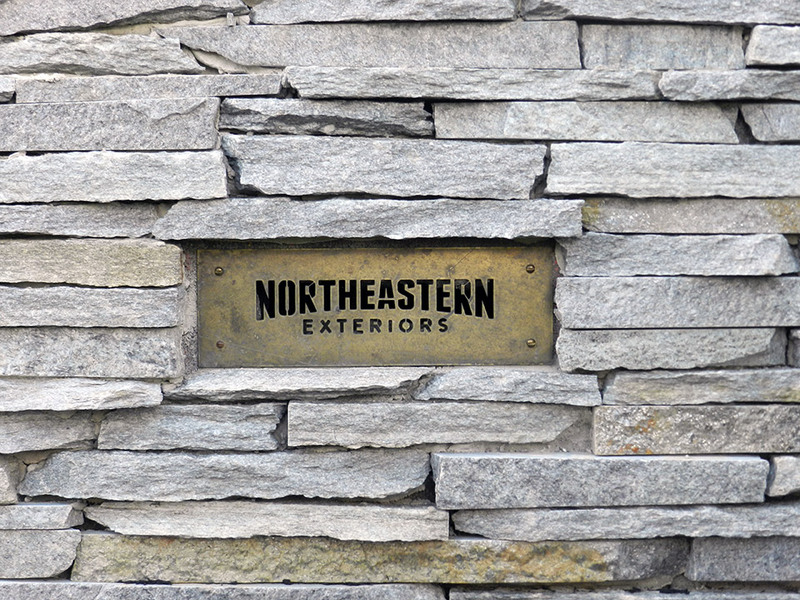 The natural thin-stone veneer facing was built over CMU (concrete masonry unit) block with mortared joints. 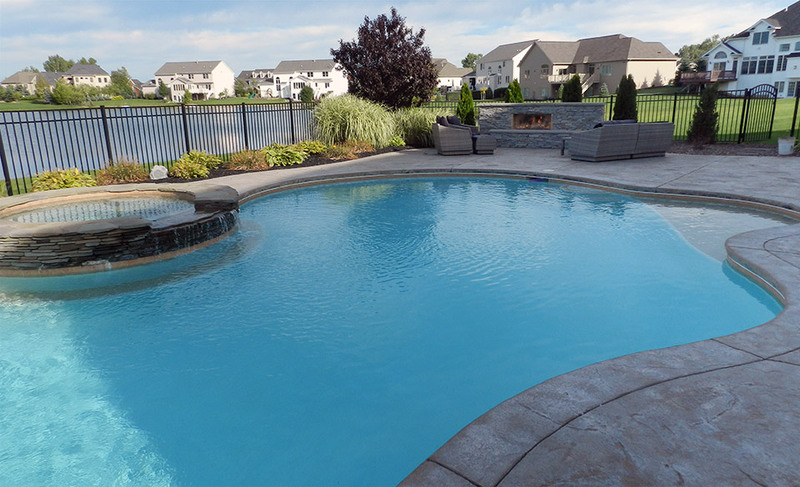 The entire project was constructed on a solid concrete footer to prevent heaving and ensure a lifetime of quality.